Parents are understandably protective when it comes to their children but the issue of childhood vaccinations still raises concerns and worries. But as well as concerns over safety, other factors such as cost and poor information are also having an impact on the introduction and take up of vaccinations. Recently there have been further delays in introducing a vaccine that protects against a deadly form of meningitis that campaigners say are putting the lives of children at risk. There are about 1,870 cases of meningitis B each year in the UK with around one in 10 cases proving fatal whilst about a quarter suffering long-term problems, such as amputation, deafness, epilepsy and learning difficulties [BBC]. But while the Department of Health says it wants to see the vaccine introduced as soon as possible the list price of £75 for the Glaxosmithkline made Bexsero vaccine has been deemed too high. This week the Meningitis B vaccine was finally approved [BBC]. But the NHS may still have difficulties in persuading all parents to take up the offer. The MMR [Measles, Mumps, Rubella] scare some years back did nothing to boost confidence. And some parents are still wary about the jab despite all evidence showing the original claims that claimed a link to the vaccination and autism were "fraudulent". Andrew Wakefield, the scientist behind the study, published his findings in 1998 but is was not until nearly a decade late that his research was found by the General Medical Council to have been "dishonest". The medical journal The Lancet fully retracted the original paper and the research was declared fraudulent in 2011 by the British Medical Journal [BMJ]. But the damage had already been done. Confidence amongst many parents had been severely compromised and many children were not immunised against potentially deadly viruses. In fact in the UK alone take-up for the MMR vaccine dropped so significantly it became a serious medical concern. Before publication of Wakefield's report, the inoculation rate for MMR in the UK was 92%. However after publication, the rate dropped to below 80%. In 1998, there were 56 measles cases in the UK and by 2008, there were 1,348 cases, with 2 confirmed deaths. The situation in the US has worsened to such a degree that there was widespread publicity and an urgent advisory from the Centers for Diseases Control and Prevention [CDC] that parents get their children inoculated. In 2014, the US experienced a major outbreak of measles that totaled 383 cases. While relatively small there was the potential that such outbreaks could spread and become thousands. In fact the situation only worsened. Between 1st January and 20th February 2015 more than 150 cases in 17 different states were reported to the CDC [Time]. But while two doses of the MMR vaccine is nearly 100% effective at preventing the disease, which is highly contagious, some parents are still leaving their children exposed to the risk. This despite Wakefield's work having been debunked and several subsequent peer-reviewed studies which have failed to show any association between the vaccine and autism. The MMR controversy has not only created issues with MMR uptake. The continued concerns have held back some countries from introducing a safe and reliable Chickenpox vaccination. Some countries such as the UK have held back primarily due to the increased costs involved but there are claims that rolling out a vaccination scheme would increase cases of shingles in the older population. 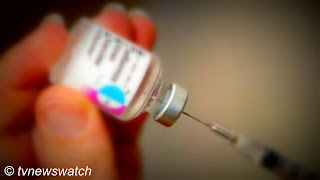 The varicella vaccine is available privately, but the UK's immunisation body decided in 2009 against the universal vaccination of children fearing it could increase shingles, a reactivation of the virus, in older people. The theory is that by the virus remaining in circulation, older people would receive an occasional boost to their immune system. Indeed the NHS freely state that "introducing chickenpox vaccinations for all children could increase the risk of chickenpox and shingles in older people." However, since the the US introduced the vaccination in the form of MMRV, the V standing for Varicella, there has been no significant increase in shingles in the adult population. It is also perhaps questionable why sick children should be exploited as living vaccines for older people when there is a perfectly serviceable vaccination on the market. And one that has been proved to be safe [NHS]. In fact in there are more advantages than there are disadvantages to rolling out a Chickenpox vaccination scheme. Should everyone receive the vaccine, then shingles itself would also be eradicated since it is merely a return of Chickenpox in a different form. Chickenpox, like all herpes viruses, such as the one that causes cold sores, never truly goes away. Instead it lies dormant in the nervous system until some future reactivation event, often decades in the future. Those who have been vaccinated against Chickenpox would in all likelihood never have the risk of experiencing the debilitating condition. Chicken Pox has often been considered a "right of passage". One of those diseases one has as a kid. For most children it an extremely uncomfortable couple of weeks off school. But there are risks. A small number can develop encephalitis, a swelling of the brain, which can be fatal. The biggest risk is to the unborn. In pregnancy, chickenpox can spell disaster for the unborn or neonatal infant. Chickenpox can, in extreme cases, lead to foetal deformities. Thus there are warnings in maternity wards for the infected to stay away. And even for otherwise healthy individuals the disease can be fatal with the BMJ saying that there are on average, around 25 deaths in the annually. There is also an economic burden. Banned from childcare during the long course of the contagious window of chickenpox, a parent may have to take up to a week or more off work to look after their afflicted children at home. Of course, such issues are not a direct cost to the state, but given the vast numbers of children - around 60,000 in Britain alone - suffering from chickenpox annually, the cost to the economy is significant. Germany saw the advantages and a 2004 study concluded that paying for vaccination out of the public purse would be more than compensated by fewer sickness payments to absent parents in the longer term. Japan and the US were among the first nations to introduce universal vaccination programmes back in the 1980s and 1990s. But citing costs and dubious medical reasons, other countries have shied away from the vaccination. One reason may also be because a wary public might be unduly concerned about the extra letter V tagged onto the controversial MMR vaccine. But the advantages of a chickenpox vaccine are clear, at least from observations of the US where it is now mandatory for school attendance. Before the vaccine was available, about 4 million people got chickenpox each year in the US with more than 10,000 hospitalizations. And about 100 to 150 of those infected died each year, according to the CDC. Some parents, even in the US, have argued against the vaccine saying that the disease is not generally serious and that complications occur in only a minority of cases. However, a chickenpox vaccine in not just about the protection of a single child, but the population as a whole. Indeed the vaccine helps protect others in the community, more particularly those who cannot get vaccinated, such as people with weakened immune systems or pregnant women. The long shadow of Andrew Wakefield misinformation about the safety of MMR still looms large in the public consciousness. How can parents be convinced to subject their children to a fourth addition to MMR when some appear not to be interested in protecting their children against something deadly like measles? It appears that the health authorities have simply thrown up their collective hands and proclaimed it to be too difficult. Informed parents can of course go private and give their children the varicella jab from the age of 12 months. But there are a great many parents who either can't afford the £120 fee for the two required injections, or simply aren't aware that a vaccination even exists. Most parents simply take what vaccinations are offered by health authorities, and may often be unaware of other vaccines available to better protect their children. Better information needs to be made available so that parents can make a choice. Some NHS GPs seem unaware of the facts surrounding the risks of not vaccinating against chickenpox. One London GP said she had "never heard about it" when asked about the chickenpox vaccine. "Do you mean shingles?" she asked, adding confusion into the mix. For an ill informed parent parent, many might walk away, perhaps feeling belittled for even raising the question. Other parents have opted to do their own research and approached private clinics in order to get their children protected. More and more parents are now paying for their children to be vaccinated against chickenpox, although exact figures are not published. But there are huge numbers who might pay for it if only they even knew it existed [BBC / Guardian].